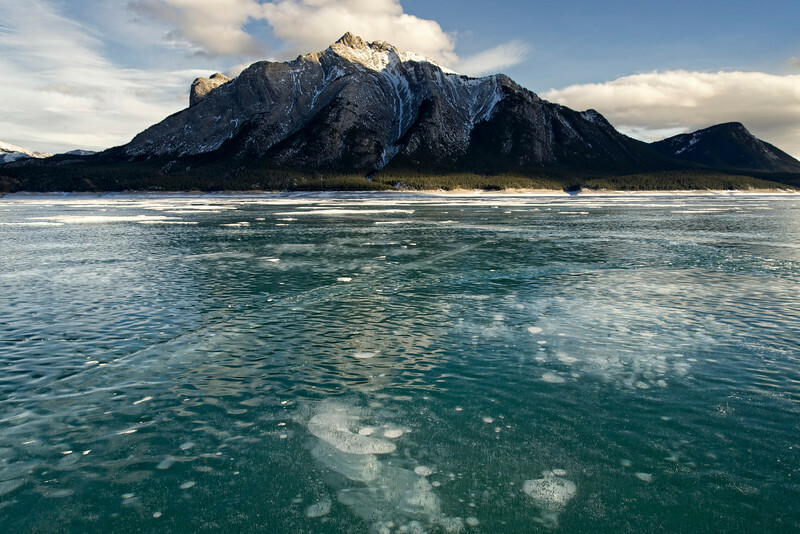 Frozen Bubbles in Abraham Lake.Abraham Lake is an artificial lake on North Saskatchewan River in western Alberta, Canada. One of Alberta's best locations to capture winter landscapes. Every year new Alberta Landscapes are created by bubbles of methane gas, which is released when plants and animals decompose in the lake.Dats Photography was only one of the Calgary Photographers on this trip to Abraham Lake and its unique landscape.